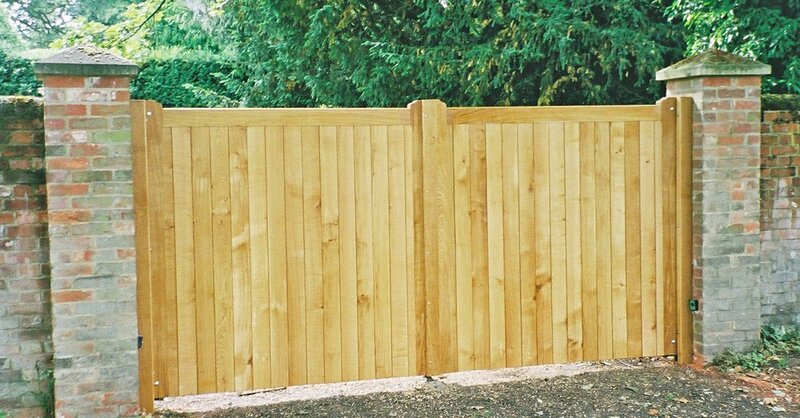 Our Closeboard gates are built from Seasoned European Oak for a classic design entrance gate. These gate are complementary to both closeboard fencing or brickwork, to give your home a traditional feel. Our Closeboard gates can be bespoke built to your own specification, to fit your entrance exactly. All our bespoke gates take between 3-5 weeks to be built and delivered. To order our bespoke entrance gates, please fill in the contact form and we will be in touch to discuss your requirements further.